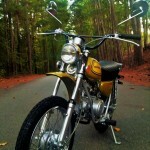 Restored 1973 Honda SL70 Motorcycle. 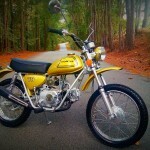 This lovely little Honda was completely restored by its owner. 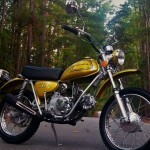 The bike was completely disassembled including the engine and was professionally rebuilt. 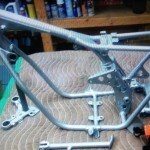 The frame, swing arm and other assorted frame parts were powder coated in silver metallic. 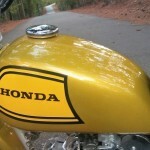 The bodywork was painted the original candy yellow metallic. The engine was completely disassembled, ultra sound cleaned, vapour blasted and then repainted in the original Honda cloud silver. The engine was bored to the next oversize using all OEM Honda parts. The cam chain and all the tensioners were replaced along with the valves and valve springs. Every gasket, seal and o-ring was replaced. New rear shocks were fitted. 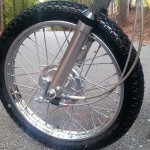 The front forks were rebuilt. A new wire harness was fitted. The ignition switch was replaced. The wheel bearings and brakes were replaced. All of the aluminium parts were polished to a high gloss. 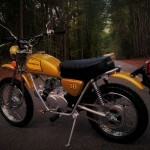 A stunning restored Honda SL70 Motorcycle. 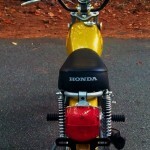 Honda SL70 – 1973 For Sale or Wanted? 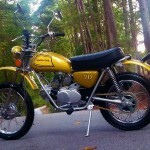 If you're looking for the perfect Honda SL70 – 1973 for sale then take a look at the hundreds of restored classic motorcycles listed on our extensive Motorcycles For Sale pages. 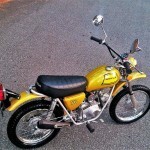 We regularly feature very nice restored Honda SL70 – 1973 bikes for sale. 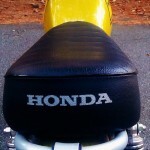 Spares and Parts for your Honda SL70 – 1973? 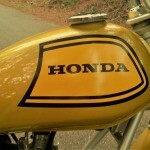 Workshop Manual for your Honda SL70 – 1973?